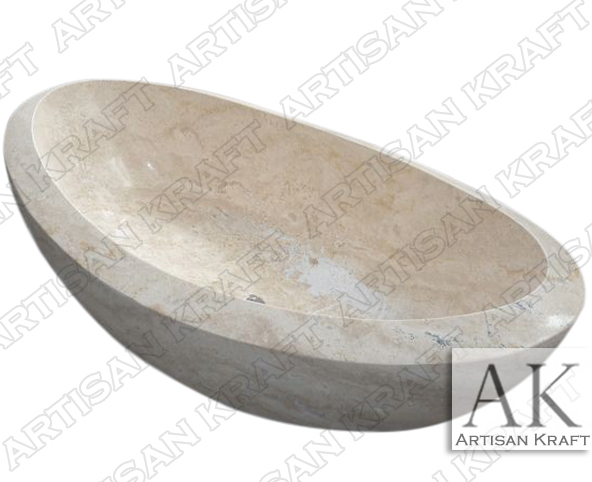 An elegant stone tub carved from real natural travertine. Travertine comes in various colors this is a light beige colored stone. The layered effect of the sedimentary stone is evident. This slipper bath is one of our most popular designs. Purchase it made from other materials including marble and granite. You can see this same design made from other materials on the main baths page that was linked.